Yes, We have a USDA permit to ship Monarch Butterflies for release to Wisconsin. Green Bay, Wisconsin has an average temperatures above 62°F from Early May through the end of September. You may safely consider having a Wisconsin butterfly release anytime the outside temperature is above 62°F and there is no possibility of a hard freeze in the forecast. 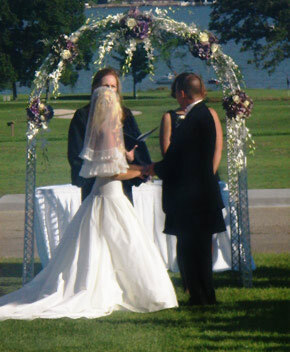 The Pavilion and Lakeview Terrace at Geneva National Golf Club are the perfect settings for your ceremony or cocktails and hors d'oeuvres. And the Lake Geneva Room, available mid September through mid May, is an amazing setting for smaller parties. Don't forget the butterflies! Mr. Butterflies provides Live Monarch Butterfly for release in Wisconsin at all kinds of different events. Consider having a Butterfly Wedding, a Butterfly Funeral, a Butterfly Memorial, a Butterfly Birthday, a Butterfly Graduation or just a Butterfly theme party.